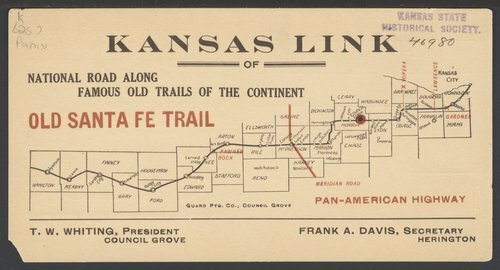 This postcard shows the Kansas Link of National Road along famous old trails of the continent, specifically the Old Santa Fe Trail. The postcard is from Council Grove. Call Number: K 625.7 Pam. v.